Here are some new products being released in Japan in November. 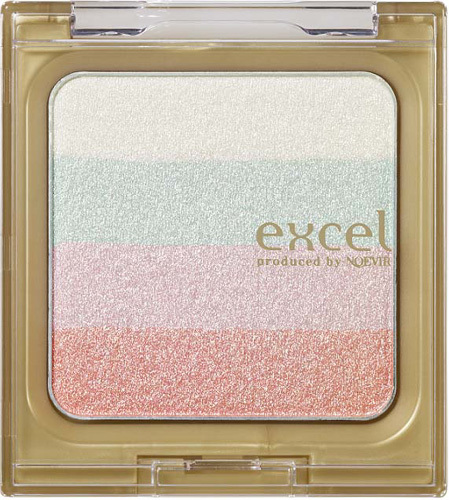 Integrate will release a limited edition shade of its Kira Wink Gel Liner in BK906 (with shiny ruby pearl particles) on 21 November. The Kira Wink Gel Liners, which are gel liners in a pencil form, have been selling very well since their launch in September, with over 110,000 units sold in one month. There will also be two new shades of Glamorous Rouge (Enamel Lustre) in BE330 and PK312. 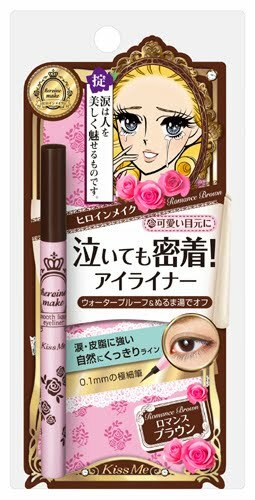 Heroine Make will release a limited edition shade of its popular Smooth Liquid Eyeliner N in BR Romance Brown on 1 November. 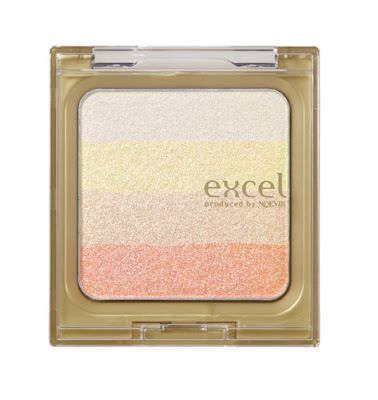 Retailing at 1050yen, the waterproof eyeliner is able to draw a precise fine line as it is only 0.1mm wide at the tip. 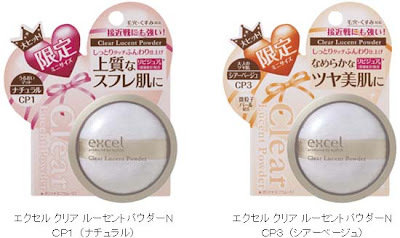 Excel will release a new Gradation Powder N (1809yen) in GM1 Sweet Pink and GM2 Cute Beige, and also mini versions of its Clear Lucent Powder (997yen) in CP1 Natural and CP3 Sheer Beige on 8 November. I've read some good review about this brand. I'll try the mascara when I'll receive my order from Sasa. So you were in my city (Nice) ?! Yes, I was in Nice for the past few weeks but am now back home. I didn't go swimming but I did take many walks along the beach. Your city is stunningly beautiful! I'll always remember the glorious sunsets and sunrises.